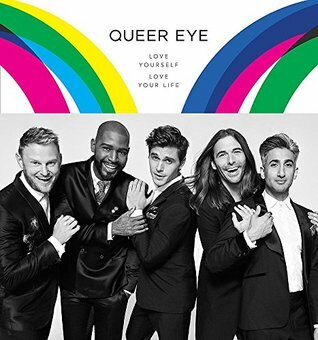 From the Fab Five—the beloved hosts of Netflix’s viral hit Queer Eye—comes a book that is at once a behind-the-scenes exclusive, a practical guide to living and celebrating your best life, and a symbol of hope. Feeling your best is about far more than deciding what color to paint your accent wall or how to apply nightly moisturizer. It’s also about creating a life that’s well-rounded, filled with humor and understanding—and most importantly, that suits you. At a cultural moment when we are all craving people to admire, Queer Eye offers hope and acceptance. After you get to know the Fab Five, together they will guide you through five practical chapters that go beyond their designated areas of expertise (food & wine, fashion, grooming, home decor, and culture), touching on topics like wellness, entertaining, and defining your personal brand, and complete with bite-sized Hip Tips for your everyday quandaries. Above all else, Queer Eye aims to help you create a happy and healthy life, rooted in self-love and authenticity. A most enjoyable and positive read. Share this book with someone you love. Jacques Papier thinks that everyone hates him. After all, teachers ignore him when he raises his hand in class, nobody ever picks him for sports teams, and his sister, Fleur, keeps having to remind their parents to set a place for him at the dinner table. But then Jacques discovers an uncomfortable truth: He is NOT Fleur’s brother; he’s her imaginary friend! And so begins Jacques’ quest for identity …what do you do when you realise that the only reason you exist is because of someone else’s imagination? 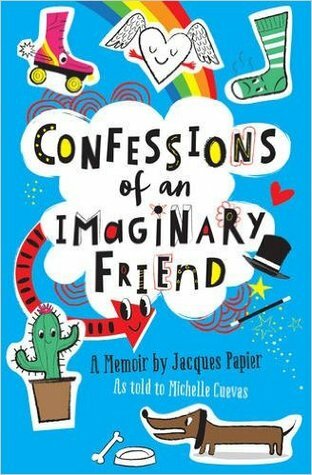 The whimsical “autobiography” of an imaginary friend who doesn’t know he’s imaginary – perfect for fans of Toy Story, The Imaginary and Moone Boy. This small paperback novel is crammed full with sparkling humour, is vividly descriptive and has the most amazingly beautiful prose. It is written is an easy to read deceptively simplistic style that children will enjoy and the adults looking on or reading to them will notice their hearts swelling with the emotions and the deeper points the subtle messages in this book conjure up. It is simply divine! The characters beyond cute, the lessons and realisations…, there so many levels of storytelling in this book, you must read this yourself to appreciate it. PS I have just discovered that Fox Animation has bought the rights to this book and is developing a movie. Cant wait! Bryce Courtenay in the Silver Moon (p.123) says “And God created a flower and named it after the sun….the smile never leaves her face. 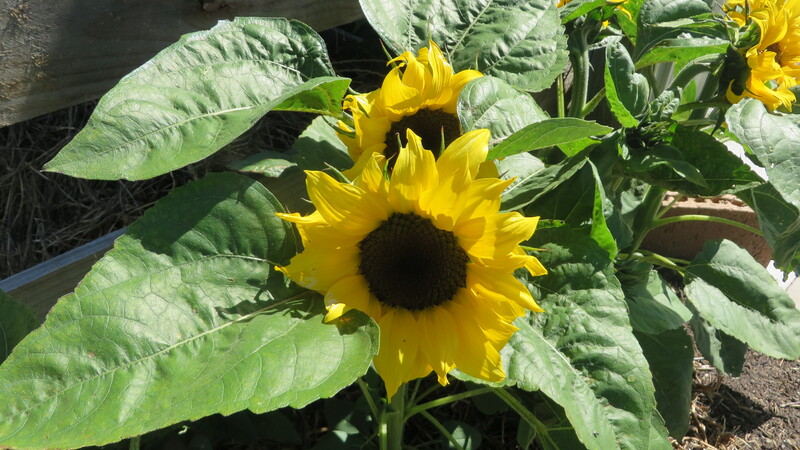 Look into it and you see pure simplicity that is genuine beauty, a personification of the sun itself.” After reading this book and in particular the last few pages I was inspired to plant sunflowers. They are stunning. This book is simply delightful, inspiring and a joy to read. Each of us has a place to return to in our minds, a place of clarity and peace, a place to think, to create, to dream. For Bryce Courtenay this place was a waterhole in Africa where he used to escape to as a boy, in search of solitude. One evening, while lingering there, he witnessed the tallest of the great beasts drinking from the waterhole in the moonlight, and was spellbound. Ever since, he drew inspiration from this moment. The Silver Moon gathers together some of the most personal and sustaining life-lessons from Australia’s favourite storyteller. In short stories and insights, many written in his final months, Bryce reflects on living and dying, and how through determination, respect for others and taking pleasure in small moments of joy, he lived life to the fullest. 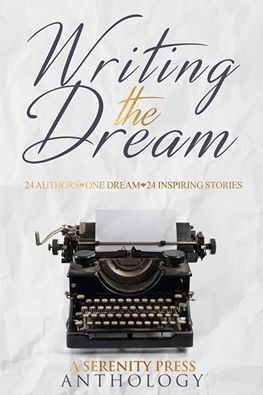 From practical advice on how to write a bestseller to general inspiration on how to realise your dreams, The Silver Moon celebrates Bryce Courtenay’s lifelong passion for storytelling, language and the creative process, and brings us closer to the man behind the bestsellers. I have read a few of Bryce Courtenay’s novels over the years – he has written many, in fact 21 books over 23 year which is a pretty amazing record and for me my favourites have been The Power Of One and April Fool’s Day – books that I feel Courtenay had really invested himself in the narrative, but that was until now. 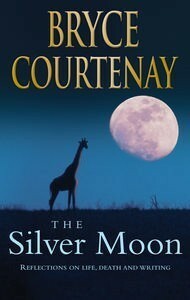 After reading The Silver Moon I have fallen in love with this author all over again. I love his gentle words, his poetic writing, and his inspiring reflections. I wish I had had the opportunity to meet this author before his death in 2012. I wish I’d had the opportunity to hear him speak- his words speak to the soul and we can all learn a lot from this simple unassuming book. Bryce Courtenay is in his own words “…a character driven novelist and I’m fascinated by the human persona and the travails and troubles and angst and adventures that we human beings manage to create for ourselves…I’m driven to tell stories. Stories absolutely fascinate me, and while writing is a hard process, I can’t conceive of not doing it. It is a compulsive and impulsive thing.” (p. 90, The Mercury, Dec 1997).